Chris Reykdal, Superintendent of Public Instruction and Ray Conner, retired Boeing vice chairman and president and CEO of Boeing Commercial Airplanes co-authored an op-ed in the Seattle Times urging school districts to consider offering and expanding career and technical education programs, like Core Plus Aerospace and policy makers to support these programs across the state. In the Seattle Times opinion piece, Reykdal and Conner pointed out that according to a 2015 report from Deloitte, 3.5 million American manufacturing jobs need to be filled by 2025. An update to the study recently released indicates the skills gap in even more dramatic with now 4.6 million projected job openings in manufacturing nationwide by 2028. More than half of those – 2.4 million – are expected to go unfilled because there aren’t enough skilled workers. Filling these jobs will be especially challenging for Washington state specifically as a wave of the current manufacturing workforce prepares for retirement in the next few years. This is where Core Plus Aerospace can help. Core Plus Aerospace is a two-year program with the first year consisting of foundational courses that are common across all manufacturing industries (e.g. shop safety, materials science, and the use of hand/power tools). The second year consists of industry-specific courses, such as in aerospace, which allows students to further develop their skills in those areas. 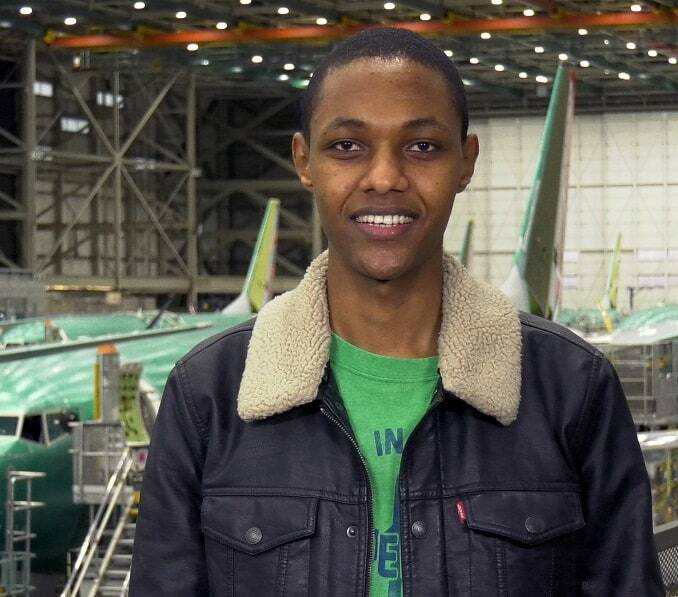 In the op-ed they shared the story of Mike, a Boeing employee who took Core Plus Aerospace classes as a high school student at the Sno-Isle TECH Skills Center in Everett. Today Mike works on the 767 Tanker Program and is a student at Everett Community College, where his tuition is being paid for by Boeing. Read the op-ed in the Seattle Times here. Find out if Core Plus Aerospace is offered at a school or skills center near you by using our location finder.